More Sewing With Silk Tips I Never Knew! Home/Sewing Machines/More Sewing With Silk Tips I Never Knew! Silk can be an amazing fabric choice for making soft, comfortable, and luxurious garments, draperies, pillows, and other home decor with sewing machines like the Juki HZL-DX7. As amazing as it is as a finished product, it can sometimes leave you pulling your hair out in frustration trying to get a project finished. Conquer silk and other slippery, shiny fabrics using these fabric handling tips so you get great results with the projects you make on Juki sewing machines. Pre-washing allows for any shrinkage that may occur, removes excess dye or residue on the fabric, and softens it so it is easier to sew on Juki sewing machines. Some silks can be washed while other types need to be dry cleaned. Determine what type of handling yours needs and do so before you do anything else. This is a critical step you should always take with any fabric, including silk. Possibly the most challenging of all things to do with soft, slippery, and unstable silk is cut it. One mistake and that piece of luxurious fabric could be ruined for your project. You can reduce the slip and slide along as well as the possibility of warping or pulling silk by spray starching it before you cut. Spray starch will temporarily stiffen the fabric and give it more stability so it cuts easier with less risk of it sliding around while you cut it. It will also make it a little less slippery while you sew it on machines like the Juki HZL-DX7. Cutting silk can be tricky, so be sure to do everything necessary to make it easier. Start out by first cutting away all the little straggly threads at the edges of your piece so they do not interfere with anything later. Fold the fabric in half lengthwise, find your grain, and then pin the selvages so you will have that already be set up before you start laying out the pattern pieces. Lay the pattern pieces out and cut them one at a time rather than laying out multiple pieces. Always use a sharp rotary cutter to cut silk, as even the sharpest fabric scissors can cause shifting when you slide the bottom blade underneath it. If your pattern will require interfacing later, apply it before you cut. Interfacing will stabilize your silk and make it easier to cut without stretching or fraying. Silk and other fine, delicate fabrics can be permanently damaged by pinholes if pinned indiscriminately. Avoid pinholes by always using sharp, slender, extra long silk pins, which are much gentler on these fabrics. Pin within the seam allowance as an extra precaution. Similarly, pressing can also damage silks and other similar fabrics, so always use a pressing cloth, even when pressing seams. 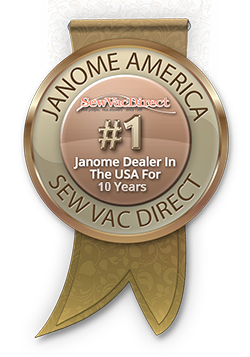 Success with sewing silk on sewing machines starts with the use of a fresh sharp needle as a universal needle is too dull and could cause pulls and snags. Choose a size 60 or 70 for best results and test it on a scrap first to make sure you've made a good choice. Hand-baste beforehand to eliminate slipping. Last of all, choose a seam finish that is secure and will reduce fraying. Serging or a French seam are two great options. So, are you ready to tackle the project you want to try using the gorgeous silk you saw in the fabric shop? Use these helpful tips for sewing silk and slippery fabrics with Juki sewing machines and you should have few problems. The key to success in using silk with sewing machines like the Juki HZL-DX7 is the right preparation and utilizing techniques that limit the chance of fabric slippage. Once you do this, sewing will be a breeze!